The Outlets at Traverse Mountain located in Lehi, Utah is an upscale, open-air shopping outlet featuring approximately 50 retail stores. 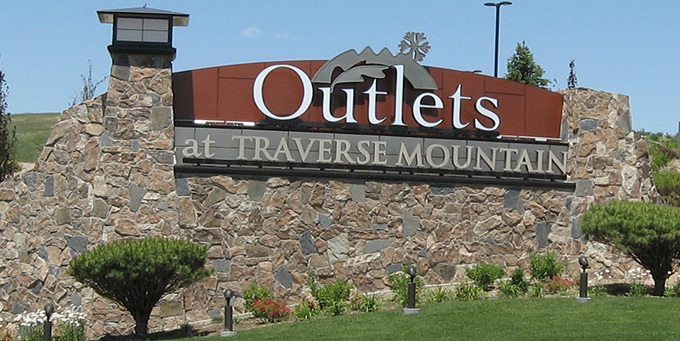 The Outlets at Traverse Mountain include many features including fitted glass canopies to protect shoppers from inclement weather typical of Utah winters and radiant heated walkways with a snow melt system to ensure pedestrian safety. Utelite Corporation provided soil amendment to the onsite native topsoil to improve its physical and biological properties allowing it to meet the performance requirements outlined in the project’s landscape design.